of the city, but still close to all amenities. (Lovely farm atmosphere). bathroom and kitchenette with microwave and fridge. Cutlery and coffee making facilities. 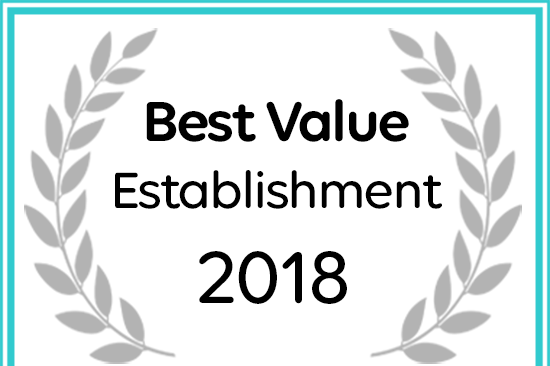 Camu Camu has received a 2018 award for Best Value Cape Town Accommodation. Come and experience our warm and unique hospitality in secure and safe surroundings. 'Come and enjoy a relaxing stroll next to the vineyards and the game farm,where you can hear zebras calling and enjoy the sounds of owls at night. Unwind and relax in our beautiful garden in summer, where you can sit and listen to the gentle flowing water of our Koi Ponds and see lots of butterflies in our pesticide free, butterfly friendly garden, or watch our chickens going about their business which is therapeutic and relaxing by itself. Enjoy a scrumptious breakfast/dinner in summer under the lapa or next to the swimming pool, and in winter in the lounge/dining room next to a roaring fire.